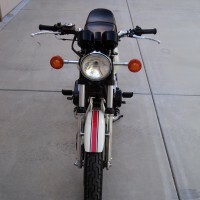 Restored 1981 Honda CB250N Motorcycle. 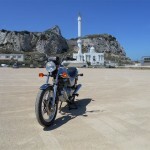 “I purchased this bike last year here in Gibraltar, which was brought over from the UK two years before by its former owner. 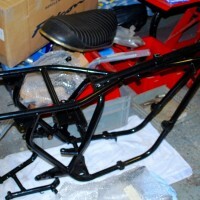 The bike was in its original colour, black, but not in good condition and needed a full restoration, which I started last year. 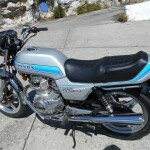 The restoration lasted for six months, my aim was to restore it back to factory spec, or as close as possible in silver as this was the colour of my first super dream I had back in 1981 from a local dealer in Gibraltar, Bassadone Motors. 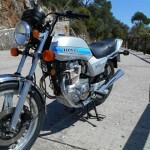 Back then I was 16 years old, and at that time wages were not that good and it was ether a bike or a car, so regrettably I had to sell it to get myself a car. It was time for girlfriends in those days. 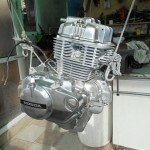 As time passed I regretted selling it and since then I always have. But as luck has it, and 36 years later, I found this one, didn’t think twice and went and bought it the same day for £1000. 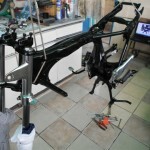 The bike frame and all brackets were rusty and needed sand-blasting and powder coating which was done professionally. The engine and carburettors needed a good clean inside and outside new gaskets new rubber seals. 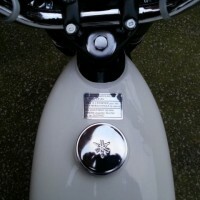 And lots of hours polishing to high standards. 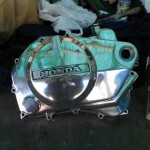 I had to get lots of new parts, thanks to the web this days it’s not hard finding them, lots came from David Silver UK others came from the US and other even from as far as Australia. 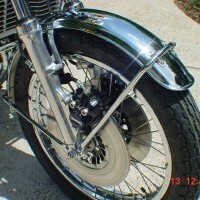 – The paint work was professionally done with new graphics. 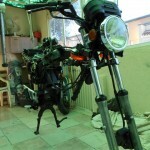 – And lots of new small parts which would be a lot to list. 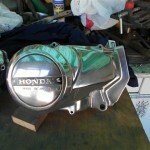 A great restoration on this classic Honda – Nice one Adrian. 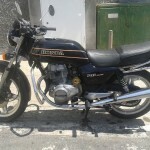 Honda CB250N Superdream – 1981 For Sale or Wanted? 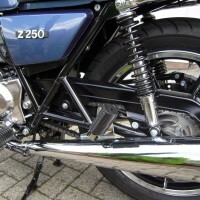 If you're looking for the perfect Honda CB250N Superdream – 1981 for sale then take a look at the hundreds of restored classic motorcycles listed on our extensive Motorcycles For Sale pages. 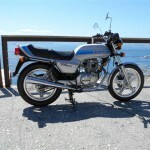 We regularly feature very nice restored Honda CB250N Superdream – 1981 bikes for sale. 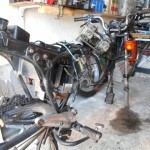 Spares and Parts for your Honda CB250N Superdream – 1981? 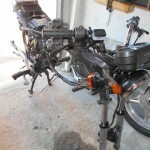 Workshop Manual for your Honda CB250N Superdream – 1981?